Special Guest Arielle Very few musical artists achieve a true signature style -- one that makes comparisons to other musicians impossible. 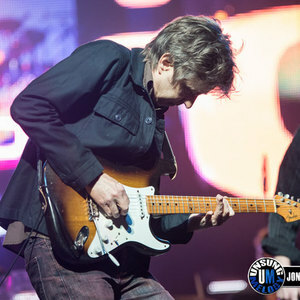 But Texas guitarist Eric Johnson arguably comes as close to this echelon as any musician from the past quarter-century. Like fellow Lone Star State guitarists Johnny Winter, Billy Gibbons, and Stevie Ray Vaughan, Johnson blends the rock style of Jimi Hendrix and the blues power of Albert King. Yet Johnson's wide array of additional influences (from the Beatles and Jeff Beck to jazz and Chet Atkins) makes for a guitar sound as unique as his fingerprints.